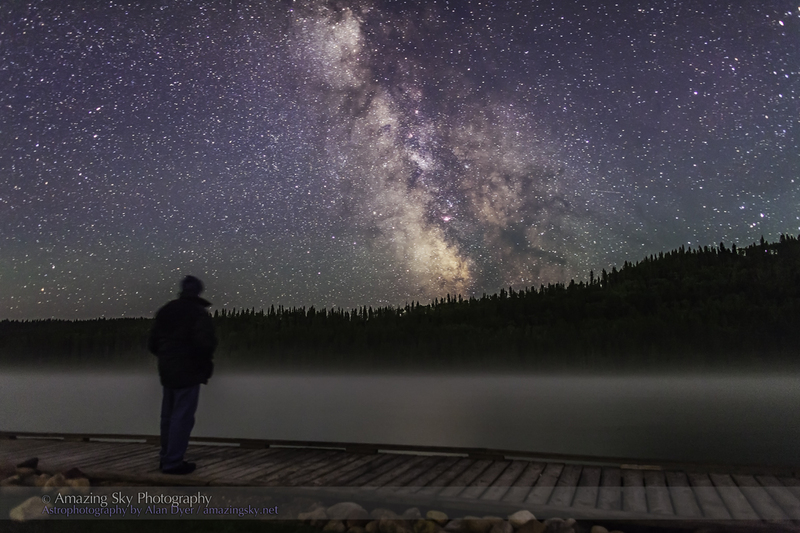 The misty starclouds of the Milky Way shine above the misty waters of Reesor Lake. 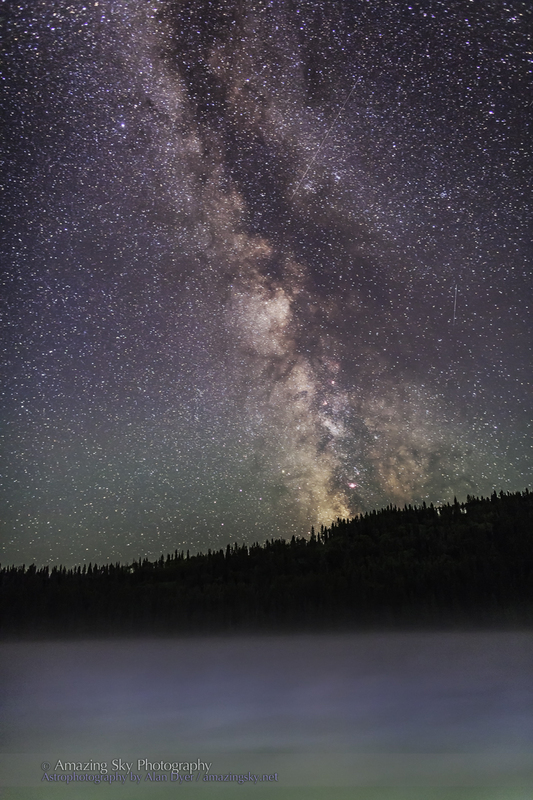 This was certainly a magical scene – the stars above the still waters of a misty lake. Above the tree-lined hills lies the constellation of Sagittarius and the heart of the Milky Way. The dark structure comes from interstellar dust, the stuff we’re made of. 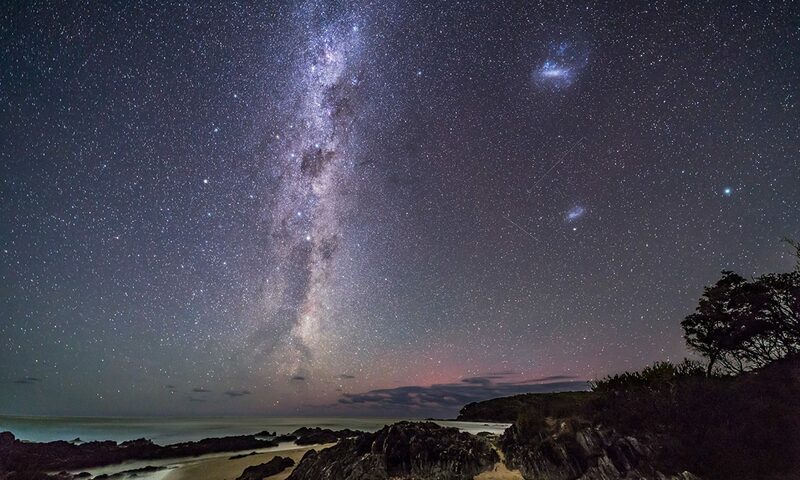 Everything in the foreground on Earth comes from the stuff you can see in the sky. 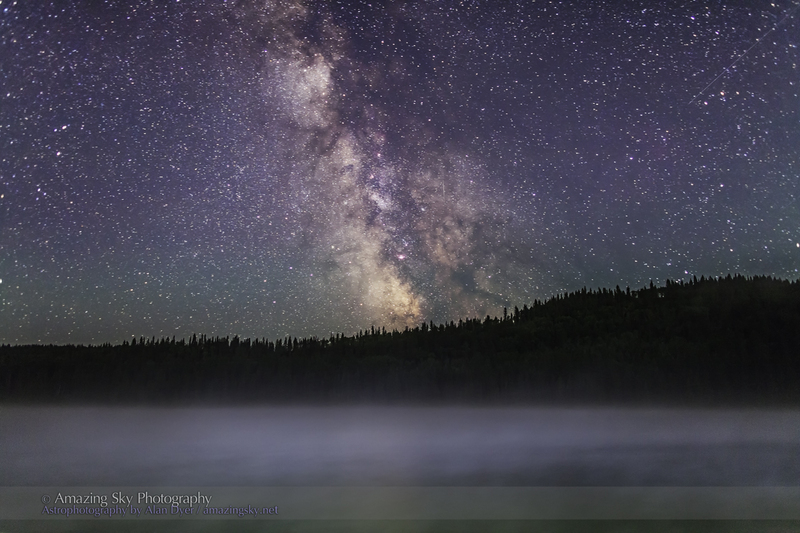 I shot this Saturday night, on a beautiful, if damp, night for nightscape photography in the Cypress Hills, Alberta. I helped the scene along by “painting” the mist with a white flashlight. For those who like their Milky Way images in portrait mode, here’s one of the same scene, showing more of the sweep of the summer Milky Way up from the southern horizon, from Sagittarius to Aquila. And while I don’t often take shots of people in scenes, I couldn’t resist getting into the photo myself here, standing on the boardwalk gazing at the centre of the Galaxy. for the few moments I see your images. to congratulate you in person. Thanks Valery — I take photos so others can enjoy the sky, if only vicariously. I particularly like the one with you in silhouette.